Ahead of Sunday’s big WWE pay-per-view, Clash of Champions 2017, the SmackDown Live superstars will be in action in several big matches on Tuesday night. Tag team champions The Usos will be in action, while “The King of Strong Style” and Riott Squad also will get into the ring. In addition to all of that, WWE Champion AJ Styles will have a big segment ahead of the PPV event. Here are the latest details on the matches planned for Tuesday night’s show from Cincinnati, Ohio. A report from Sportskeeda’s Johnny Payne indicates that the brand new stable on SmackDown called The Riot Squad will have another six-woman tag match tonight. This time around, Ruby Riott, Liv Morgan, and Sarah Logan will battle the team of Carmella, Lana, and Tamina. The matchup arrives as the women’s stars involved in this bout will all participate in Sunday’s Clash of Champions. All six women will be ringside Lumberjacks for the SmackDown Women’s title match at the PPV. Will the newest group of women’s superstars grab another big win tonight ahead of Sunday’s pay-per-view, or will there be more chaos from the entire women’s roster? 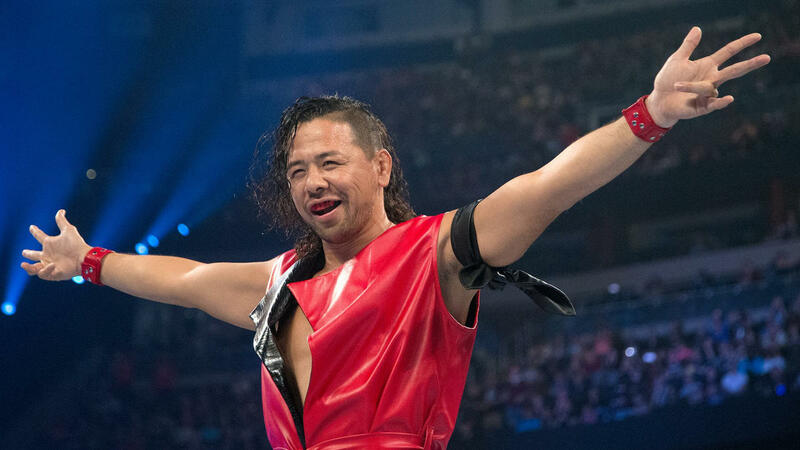 Shinsuke Nakamura is scheduled for a one-on-one contest against Kevin Owens. That match arrives ahead of one of the tag team matches scheduled for Sunday’s event where Nakamura teams with Randy Orton against Kevin Owens and Sami Zayn. Meanwhile, in a big tag match, fans will see the team of Rusev and Aiden English looking for more momentum ahead of Sunday’s Fatal 4-Way tag team title match. The duo was recently added to the tag team title match last week and now they’ll get a crack at the reigning champions, The Usos, in a non-title match on SmackDown. In a huge segment, the WWE Champion AJ Styles will have a face-off with former champion Jinder Mahal. The “Modern Day Maharaja” is coming off a loss against Triple H over in India at a WWE tour. However, Mahal has a chance to regain his championship this Sunday at Clash of Champions. Fans will be watching at 8 p.m. Eastern Time on Tuesday night to see what transpires between the two opponents. WWE fans can watch the latest episode of SmackDown Live on Tuesday evening starting at 8 p.m. Eastern Time on the USA channel.